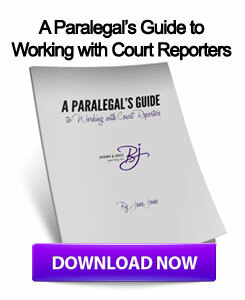 Court Reporters – What Do You Need To Clean Besides Your House? Court Reporters And Their Computers…. Computers are a machine, and much like other machines they need fine tuning to maintain their smooth running status. Unlike your car, PCs do not need lubrication – but they do require cleaning every now and again. Here you will find basic PC maintenance tips to keep your system running as best it can! Computers write files to your hard drive in a way that somewhat resembles an old record being played. It is linear (at first) and writes in one clean direction. As time goes on, files get deleted and gaps become present in what used to be a smooth path. Your computer recognizes these gaps as free space and will fill data into the gaps before continuing the new path. This causes file fragmentation. Now, imagine a record player’s needle playing a song where the needle had to skip around on the LP/vinyl – first it would sound awful. Second, it would take you five minutes to listen to a four minute song. Same concept applies to your hard drive when it tries to read/open a file. Luckily there is an easy fix for this – Disk Defragmentation. Defragmenting your drive is easy to do and can be completed without you being there (preferred). Right click the drive you want to defragment in My Computer, click on Properties and click on the tools tab. Finally click on Defragment Now… to bring up the process. When you defragment, the red bars show fragmented files; defragmenting attempts to move the files into that linear path for better access/read times. For best performance, your PC should be left idle. This entry was posted on Thursday, March 15th, 2012 at 11:29 pm	and is filed under All Posts, Court Reporting, Technology. You can follow any responses to this entry through the RSS 2.0 feed. You can skip to the end and leave a response. Pinging is currently not allowed.